Maven has dedicated investment executives operating across the North of England in support of the NPIF. If you are an ambitious business looking for growth finance, contact Maven’s NPIF investment team today. If your business operates predominantly in the North West, Yorkshire & Humber and/or Tees Valley and has fewer than 250 full-time equivalent employees, you may be eligible for NPIF funding. By clicking on the link below you can submit initial information about your business and its growth plans direct to our NPIF Investment Team. NPIF Maven Equity Finance is managed by Maven across the North, with staff operating from offices in Manchester, Preston and Glasgow. 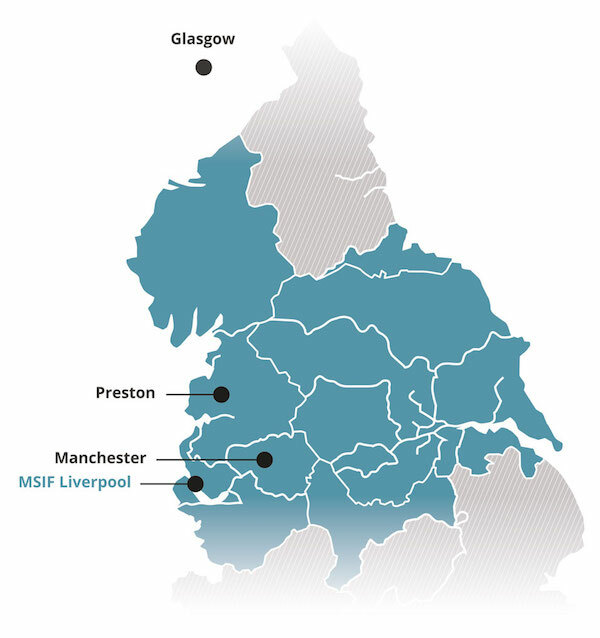 MSIF, our partner manager who are managing investments across Merseyside, are headquartered in Liverpool city centre.